For a decade and a half, Palladium Books has been doing a Christmas Grab Bag special. 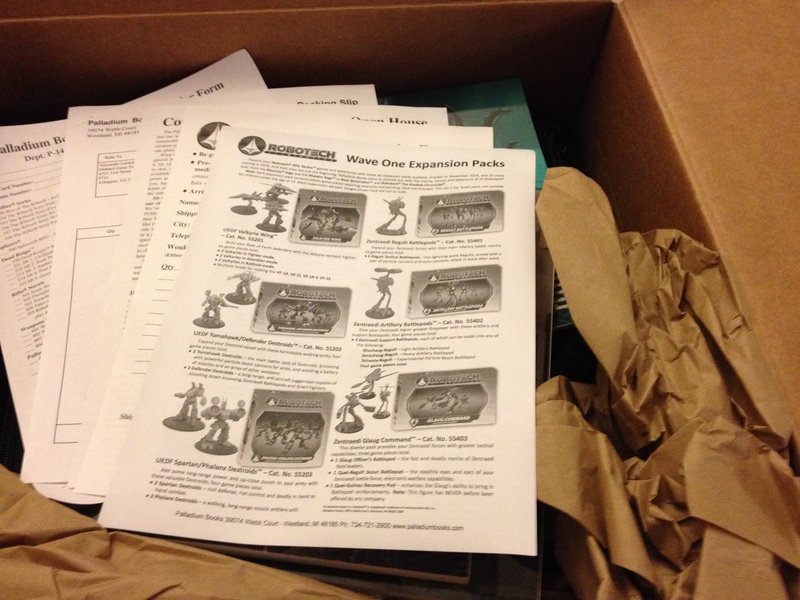 You pay a certain amount and get a blind purchase of Palladium RPGs sent to your door. This year you pay $42 plus shipping and are guaranteed a minimum of $84 in merchandise. That’s basically getting everything half off at the very least. Of course, you don’t really know what you are getting. You can ask for the books to be autographed (at no extra fee) and you can give them hints as to what Palladium games you like or would like to try. I’ve never done this because I’m not a gambler. I like to know what I am getting, but this is a terrific deal. 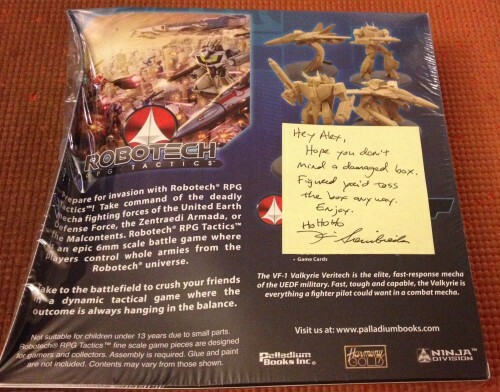 However, I did recently purchase the Robotech RPG Tactics Battle Foam Bag from them. Inside, along with the case, was a version of the grab bag tailored especially for me, right down to a handwritten note from Kevin Siembieda on the last item. What was in my grab bag, and how much were the total items worth? Let’s take a look together! Remember, you can always get your own X-Mas Surprise Package here. 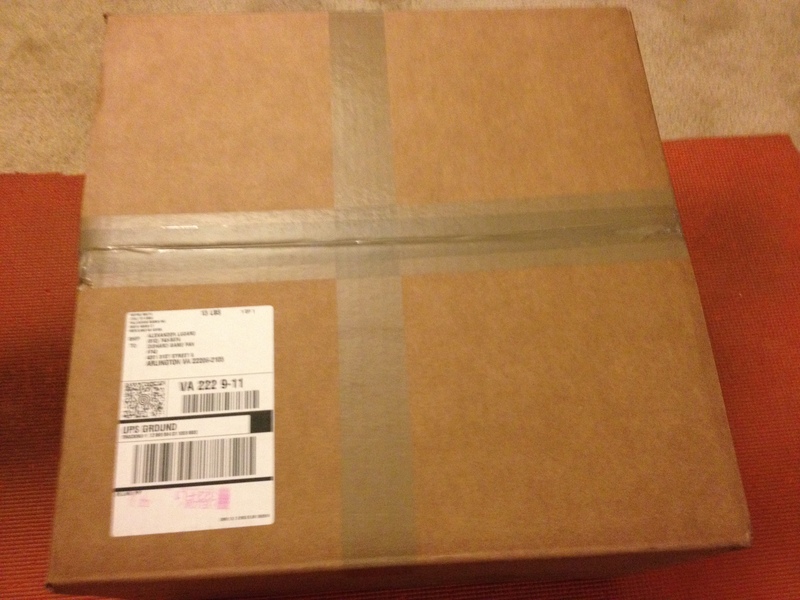 The box upon opening. Remember, this also has my Robotech miniatures bag inside, so if you order an X-Mas Surprise Package, you won’t be getting something quite this large. The top of the bag, complete with packing paper and ads for Palladium products. Here are the four items in my grab bag. 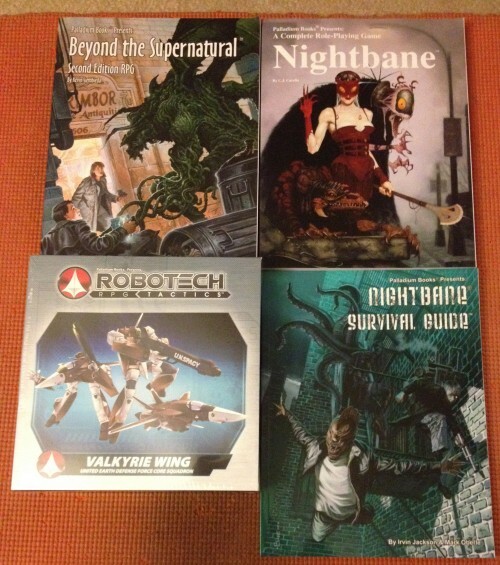 A copy of Beyond the Supernatural, Second Edition, the core rulebook for Nightbane and one of its supplements, The Nightbane Survival Guide and a box of Robotech RPG Tactics Veritech fighters! Horror RPGs and Robotech? Well, this is right up my alley! 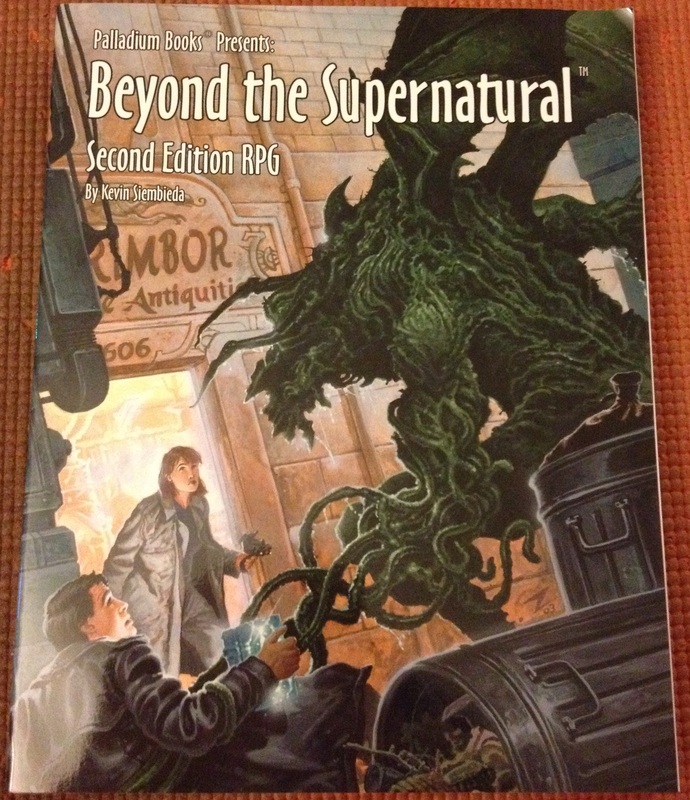 A close up of Beyond the Supernatural, Second Edition. I owned and enjoyed the first edition back in the day, but never picked up the second edition. With two new supplements coming out for this game (eventually…you know how it is), this is a great time to get a hold of this. MRSP? $24.95. A close up of NIghtbane. 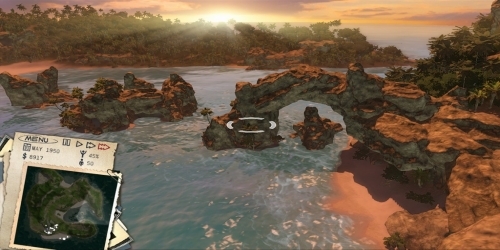 I was always curious about this game, as it is penned by an old Eden Studios colleague of mine, C.J. Carella. I loved C.J.’s Witchcraft and always meant to check this game out. Now I have no excuses. I own it! MRSP? $24.95. Already the box would pay for itself. A close up of the Nightbane Survival Guide. 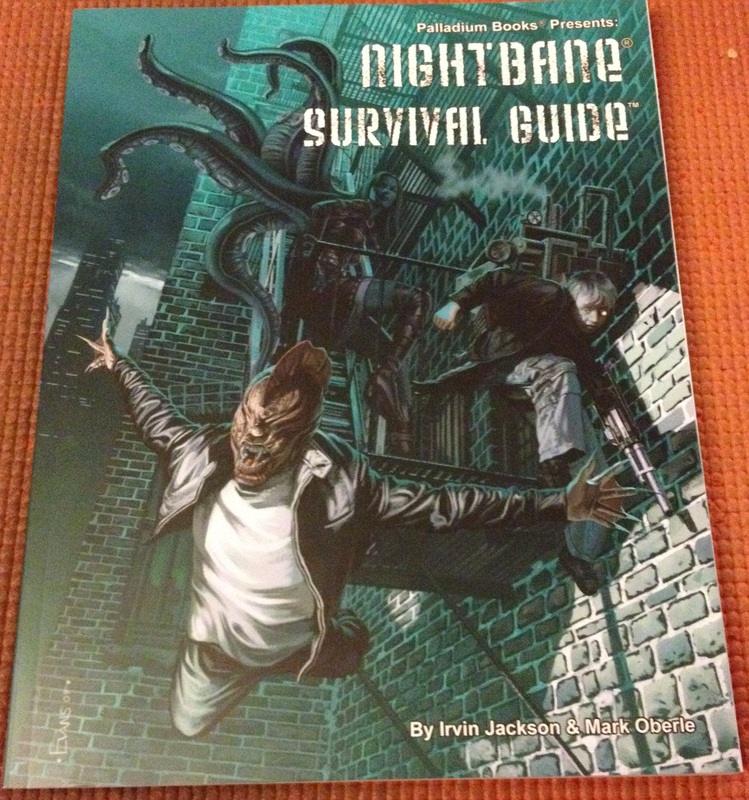 A supplement to go with the core rulebook. Not too shabby. Suddenly I have two books for a game I didn’t own a week ago. MRSP? $20.95. We’re up to $70.85 in this X-Mas Surprise Package. Not bad, not bad. Our last item? 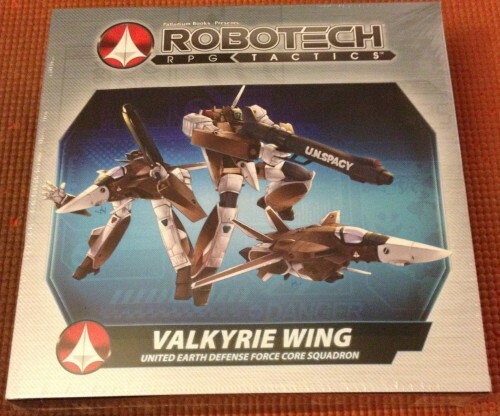 A box of Robotech RPG Tactics Veritech Fighters! This gives me two more Micronians for my Zentraedi to shoot down! Actually, I’ll probably paint these up as Ben Dixon and someone else. Maybe the guy from the Robotech: Battlecry video game. The box was slightly caved in, which is probably why they included it here. They couldn’t really give a shopworn set to a store of Kickstarter backers, am I right? Heck, I’ll take a slightly damaged box of free Robotech minis if the sprues are intact – and they were. MSRP? $36.95. This gives us a grand total of $107.80 for what would only cost $42 and shipping. Holy crap, what an amazing deal. Again, if you’re interested in getting one of these for yourself, click here and start the ordering process. So there you go. Roughly $108 dollars for a box of Palladium merchandise with a price tag of only $42. That’s an amazing deal. Remember though, it’s a blind purchase, so you probably won’t get the same books. Still, I’m really happy about what I got in my box, and if you’re a fan of Palladium at all, you’ll probably flip over what they throw into your Surprise Package as well. When I’m actually running Rifts or something from Palladium I do partake of the grab bag. It’s always worth it, and the autographs can be from just about anyone in the office when they’re assembling them. My Palladium RPG 2nd Edition even has a neat sketch of a dragon done by Siembieda right next to his signature because of this. If you get more than one a year they don’t guarantee you won’t get duplicates. One year I got two boxes and got a couple of supplement duplicates that I gave away but still very much worth it. Very cool Ashe. I had no idea you were a Palladium fan. I’m tempted to get a second one. On and off fan. Palladium is one of the hardest companies to get people in my local area to play. Here it’s either D&D 3.5/4/5 or Pathfinder. Very hard to get people to show up for Star Wars of any edition. Rifts was really my first play ground as a GM though. One of my favorite settings just because you can throw pretty much anything in there and it fits. 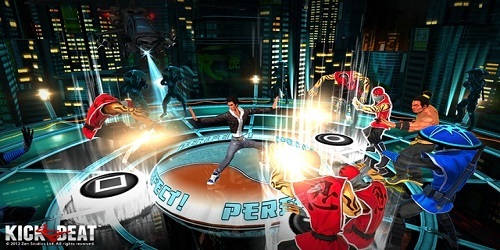 Rifts is one of those games I enjoyed reading about but never had much fun playing/running mainly because there were always two people sniping with each other about the rules. 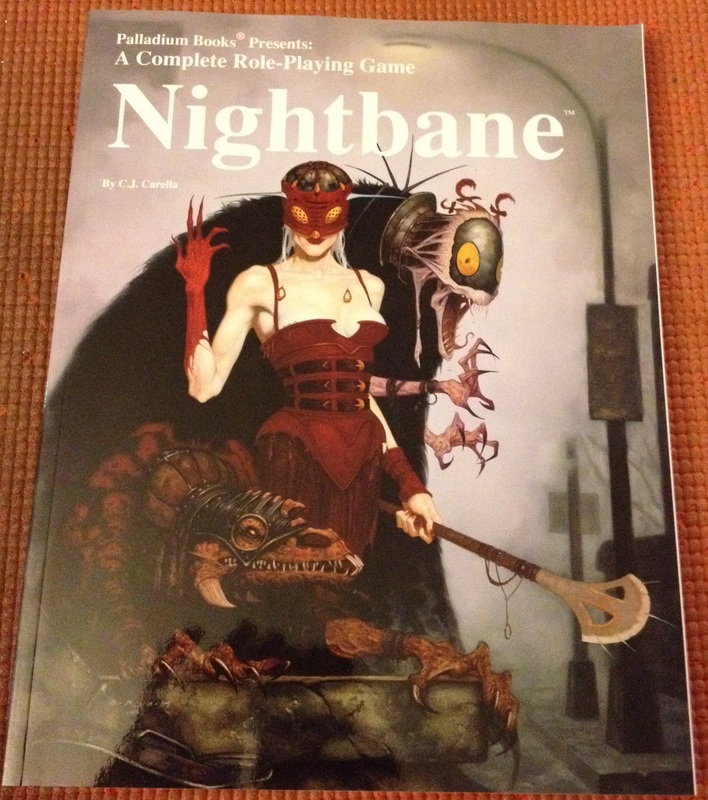 It became one of those games I bought to read rather than play like Warhammer for a long stretch of time. Rules are one of the biggest complaints about the system when we do play it to be honest. I just go with the ‘my word is law’ model and run it as fast-paced as I can keep it without bogging it down. The power creep is the hardest thing to keep in check, that and building enemies that won’t wipe the floor with your players, at least not too quickly. It’s a love and hate relationship when I’m running. I really do love the setting though.